and good morning to a seven year old. It hasn’t registered in my brain yet. A retired American girl doll appropriately named, Mia. Seven is the perfect age to introduce all things American Girl. Mia was so exhausted for playing all day that she needed a nap before heading out that night for some birthday fun! Her first road trip. Too cute for words. Mia’s request was a night at a huge local indoor sports facility. But as you can tell by this picture, one particular seven year old got a little too scuuuured to try it out. The rest of us old kids did not. We had a blast and guess who won in our guys verses girls competition? Don’t even get me started on the dodge ball game of guys verses girls. No pictures of that, thank goodness. 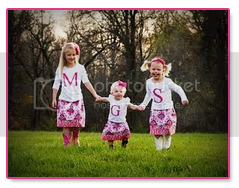 To end our night of fun, Aunt Maggie had the girls pose for a special little etched key chain.